"Recalling our past, living in our present, planning out future." 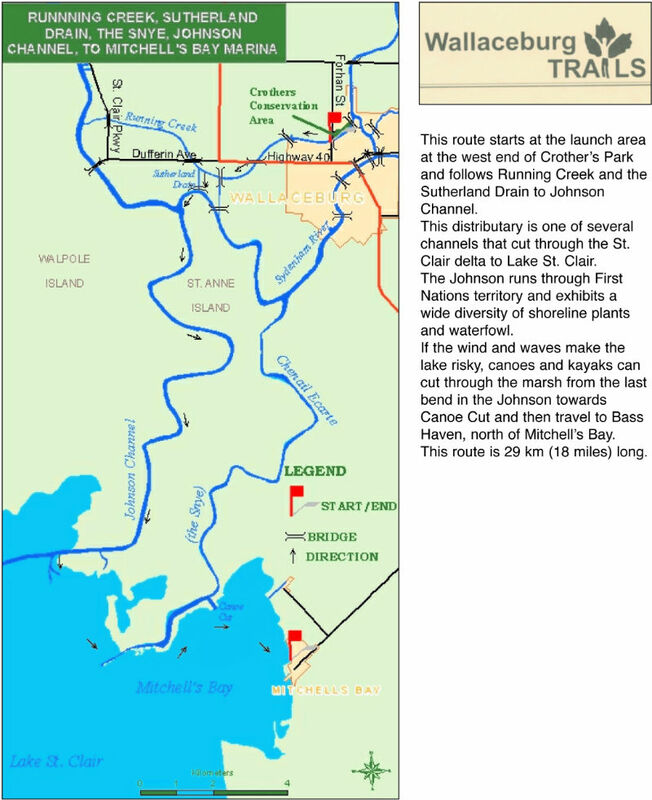 This route starts at the launch area at the west end of Crother's Park and follows Running Creek and the Sutherland Drain to Johnson Channel. This distributary is one of severla channels that cut through the St. Clair delta to Lake St. Clair. 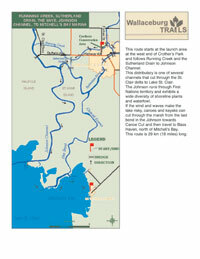 The Johnson runs through First Nations territory and exhibits a wide diversity of shoreline plants and waterfowl. If the wind and waves make the lake risky, canoes and kayaks can cut through the marsh from the last bend in the Johnson towards Canoe Cut and then travel to Bass Haven, north of Mitchell's Bay. This route is 29km (18 miles) long.